Though I sometimes sneak in a game or two on weekdays, it is always more fun to play my PC games on weekends because there is nothing at the back of my mind to distract my fun. I don't have to worry about meeting deadlines and I don't have to worry about work. The weekend for both me and B is devoted to plain relaxation and we avoid anything that could get us down or stressed. Can you believe I still have yet to complete my Burger Shop 2 mission? I have only two levels left before I officially conquer the expert level but it's not easy! The customers are just too fast for me; demanding I prepare their orders at super lightning speed, which unfortunately I'm just falling short of. I gotta try harder to complete this very addictive game but for now, I need to take a burger break and enjoy light and easy games like my casino slots! Onlinecasinosuite.com is a great casino directory with listings of the best certified online casinos, gaming software, videos and books, casino gambling and games information. It is the perfect hang out for gamers and players who are keen to improve your odds of winning. 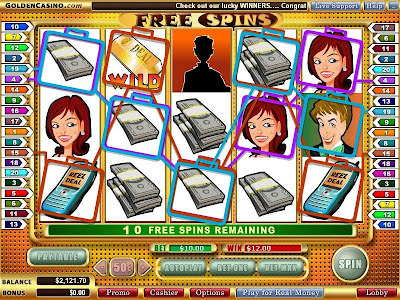 With ratings and reviews of the most popular internet casinos including Golden Casino, Millionaire Casino and Rushmore Casino, get ready to immerse in FREE online casino games like slots, video poker or blackjack! Have fun playing peeps; it's the weekend after all! Recent blog:=- Chp 263. Wedding Planner: The saga begins! :* :* :* Mon Meow 1! I so envy you :( Us copywriters hardly find free time, even during the weekends. Have a blast at your weekend. eh how come only one left for RM?? LOL welcome Mon, now over took LJ by 1 point edi ha ha, meow! U still dropping or what? Wat time zzz? Wow, so fast everyone chop hehehe, Burger Shop 2 bila nak siap? abt 20 more to go!! :-D not so soon haha! LOL Sandman just a nick I like to call him Mon, Sandman is Kima… wooot! lolz. My name is not Sandman and my parents did not christen me with that name. lolz. Its a long story, Mon, and yes, Marzzzz is always welcome to call me Sandman. G'nite you two. LOL!!! LJ slept for 2 hours only, sure now catching up on her zzzzz…. Yay 20 left only…woo hoo! aiyoooo slept for 2 hours only! she needs her beauty sleep!! U oso machine Bem, how many u drop nowadays?? Sleeping the whole day it seems LJ, wakey wakey! i think we're the only ppl in the world, kenot zzz if don drop 900/300! have an enjoyable weekend, dear!! This burger shop thing really sound awesome GP.. i dl already but have not started playing. what if i get addicted.. how to work..lol!! Happy Weekend!! so fast the time goes off lah! Quietly-2 dropping 400 ec a day it seems Bem lol! Hahahahhaha who else here cannot sleep if haven’t dropped full 300 ec??? Come join us! Hahahaah! Terer menerer la Bem Bem! U were asleep LJ..me and Mon tried to wakey u here he he he! Happy weekend to u too sweetie, don work too hard now! Wow sounds so nice, some more green! Dats why la I can imagine so nice!